Have you ever had brown sugar shortbread cookies? Well this version is keto friendly, with no sugar or flour. But just as delicious as the real thing. 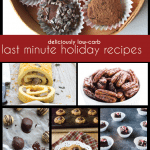 An easy low carb holiday cookie recipe. This post is sponsored by Swerve Sweetener. We all have those holiday cookies we remember growing up with. You know what I am talking about. The ones your mum or grandmother made every year, the ones that permeate all of your childhood holiday memories. A simple whiff of them baking, a single bite can transport you right back to your youth. My mother made the most incredible brown sugar shortbread year in and year out, and she still does to this very day. They aren’t like traditional Scottish shortbread, the squares or triangles that most of us see in the stores. These are actually roll out and cut out cookies, and they are unusual in using brown sugar instead of white. We would spend hours decorating these things. Hours of pure childhood joy. The basic formula is still the same, however. Butter, sugar, flour. That’s all you really need for good shortbread cookies. Unless you’re on a keto diet and can’t have either sugar or flour. Thankfully, I’ve found that almond flour makes for pretty great shortbread, and so do a number of low carb sweeteners like Swerve. Given my love for the cookies of my childhood, you can bet your sweet patootie that the minute Swerve came out with a brown sugar substitute, I had to try it in a low carb brown “sugar” shortbread. I mean, that was FATE, people. Destiny, kismet, karma, whatever you want to call it. And turns out that my keto version is pretty darn close to the real thing! Mine aren’t quite a sweet, which I actually like better (sorry, Mum! ), but they still have that meltingly good, tender brown sugar shortbread flavor. I did a few holiday sprinkles for the kids, but I used ground nutmeg to decorate the rest. Very simple, but absolutely delicious. Open to US and Canadian Residents only! I can’t wait to make these cookies. I absolutely love shortbread. I can’t find the recipe do u have it? It’s in the sentence “PLEASE SEE MY BROWN “SUGAR” SHORTBREAD ON SWERVE SWEETENER” in big font near the end of the post. To clarify, the link to the recipe is in that sentence. Me too! I want to try this recipe with the Swerve sweetner. I would make these cookies! Can I omit the coconut flour and use an extra quarter cup of almond flour? would love to make this recipe. I have never used any swerve before. Would love to try it. Yum! Can’t wait to make Brown “Sugar” Shortbread Cookies. 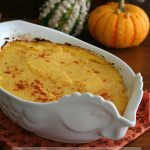 I used Brwn Swerve for the first time to make your Pumpkin Cream Pie for Thanksgiving. Everyone, including my kids who totally rebel against low CaraballoRodriguez LOVED it. My family asked me to make another one the next day! I have used powdered swerve and I love it. Can’t wait to try the Brown sugar. I just used Swerve Brown for the first time at Thanksgiving. Love it! I can’t wait to try this cookie recipe. I definitely want to try the brown sugar shortbread with the Swerve Brown. I will definitely be making these!!! Thanks Carolyn!!! I love to bake and try out these new recipes which are so much healthier for everyone! Your recipes are wonderful! I use Serve granular and powdered and look forward to trying the Brown. I cannot wait to make these. I have never made a recipe of your that I did not like. Never used the brown sugar. Love the Swerve confection and regular sugar. Thank you for all your awesome recipes. One of my favorite is the shortbread cookie. I add some chocolate chips and chopped pecans and shredded coconut. Yummy! I plan to try the brown sugar cookies using the brown sugar Swerve! I am looking forward to trying these. They sound wonderful! I have always loved anything with brown sugar in it! Thank you for your recipes!! Can’t wait to try your recipe, just need the Swerve brown sugar. I’ll be making the shortbread but brown sugar works great in chocolate chip cookies, too. Would love to try the brown sugar swerve. I’ve used a different brand and would love be to try this also. Love swerve brown sugar and all swerve sweetners! Made your scan pie! Everyone keto and regular liked it! Thanks Carolyn! Oh, my… these cookies sound wonderful! Thanks for the recipe and the chance to win some Swerve Brown! These look amazing. My grocery store just started carrying brown swerve and I’ve been looking for a recipe to use it in. I love the crisp, buttery flavor of shortbread! Definitely cookies. Probably chocolate chip! I can’t wait to try these! I love shortbread. Shortbread cookies are my favorite cookies! The brown sugar Swerve would be great for just about all my cookie recipes…but I bet it would really improve my pecan pie recipe! Wow, shortbread is one of my favorites but I have never had a brown sugar version. Sounds like a perfect match. Betting the brown sugar would be a great molasses sub in my Sally Ann cookies. Love swerve brown sugar. Cant wait to try these cookies. Yum! I would definitely make pecan pie cheesecake. Can’t wait to try these brown sugar shortbread cookies!! Thanks, Carolyn! These look really yummy! I will be trying these out for Christmas. Would use it for the Brown Sugar Shortbread and also on roasted winter squash. 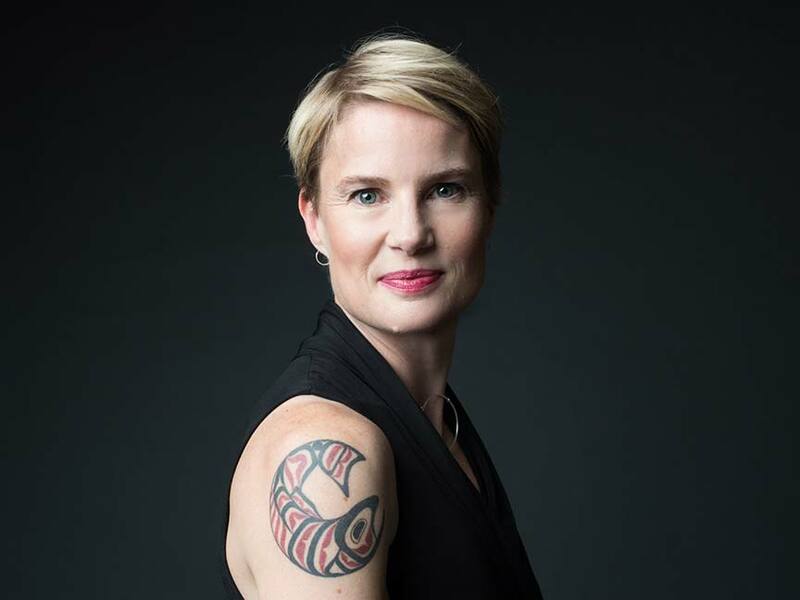 Love the Swerve products and all the recopies you have shared using Swerve…….everything always turns out perfect! I will try these shortbread cookies and I am very excited for the “brown sugar” swerve!!! I LOVE shortbread — making these amazing looking cookies TODAY!! These look delicious!! I can’t wait to try brown sugar Swerve- the original is fantastic! Thx for sponsoring this giveaway! I will definitely make these shortbread cookies because they are one of my favorites. I also want to use the brown sugar swerve to make a glaze for my ham at Christmas. Thank you for the giveaway. Recipes that I’ll use this for. Can’t wait to make the cookies. Love love my brown swerve I am all stocked up the holidays but could always use more! I can’t wait to make Pecan pie, sooooo many cookies, and cinnamon buns!!! Yummy yummy yummy! Thank you for the chance to win, and good luck to all! I add it to so many things! I think next up I will be adding it to my cinnamon roll filling for extra depth. Last used it for an amazing bacon jam! Can’t wait to try the new Swerve Brown Sugar! And a new shortbread recipe to try. Yum!! Those brown sugar shortbread cookies sound delicious! I’d make those first. 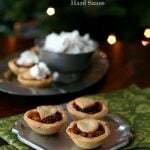 I would love to make these…and the pecan pie!! I really want to try the brown Swerve. I already love the granular and powdered. Dorothy, here’s my opinion: I usually experience a strong cooling effect from granular and confectioners Swerve, but find that not at all prominent in Swerve brown. I don’t think it tastes exactly like brown sugar, but it does contribute a deeper flavor like brown sugar, it feels and behaves like brown sugar, and so far it is enjoyable on keto porridge and in BBQ sauce. My husband really likes it, and he doesn’t like regular Swerve. I still like to add a tiny bit of blackstrap molasses to recipes alongside Swerve brown for a more authentic brown sugar flavor. I must amend my statement: A couple days ago I made some cookies using Swerve brown, and when I tasted the creamed butter/sweetener/egg mixture I was amazed to find the Swerve brown tasted EXACTLY like brown sugar. It really does depend on application and individual palate. It’s worth it to try one bag, at least. Thanks for coming back with the update! I would love to win. I would bake anything and everything! Swerve Brown opens up a new window for all of out baking needs in our LC?Keto life! Best Holiday baking ingredient for all! Swerve is the only sugar alternative i like. I use the granular and confectioner in several recipes. I cannot wait to try the brown sugar option. Can’t wait to make them! They sound delicious. Can’t wait to try these cookies. All of Carolyn’s goodies are AMAZING!!! I will definitely make these brown sugar shortbread cookies & I want to try the pumpkin pie cupcakes with brown sugar, too. Shortbread cookies are my favorite. .. can’t wait to try them with brown sugar swerve. These look delicious! I think I will go whip up a batch today. Thank you for another great recipe ! I can’t wait to try these too!!!!! These look delicious and I can’t wait to go make them! I am not sure they did the calculations. You could ask them! I am definitely going to try this recipe! After I order this product of course! I appreciate your work at developing these recipes and I’m glad you have found a very good and reliable product to create with! You bring much happiness to your followers! This looks SO good! I can’t wait to try this recipe! 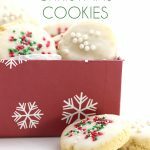 I’m so excited to make Keto friendly Christmas cookies! Looking forward to trying Swerve and utilizing your recipes! I LOVE the brown Swerve. Gives my desserts that extra little something. Can’t wait to try this recipe! I love using Swerve and all the sweet goodness of the treats treats that us it. I’d love to try Swerve brown in this recipe. I may need a batch to myself…yum! Shortbread is the devil and I love it!!!! Thanks for the amazing recipe and giveaway! I have no idea what I’d use brown sugar Swerve in because I haven’t even thought about brown sugar in soooo long. I look forward to making the shortbread and other deliciousness from your recipes. I’ve never used any Swerve products but would love to try them! It’s not “baking”, but my barbecue beef cups and chipotle pulled pork recipes call for brown sugar and I’d love to have a replacement! I would make some brown sugar Pecan keto biscotti. I can’t wait to try theses cookies and am excited to try the brown sugar version of Swerve! 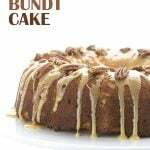 I would love to go back and make my keto pumpkin cake with it and see if I can deepen the flavors a bit, past all my other tricks. Some baked goods just need brown sugar. To start with, I want to make Cinnamon Sugar Pecans and some Hot Buttered Rum batter. Hi! I can’t wait to try the shortbread! Also, I would would make Keto pumpkin pie cupcakes. Thank you and Merry Christmas!!. I can’t wait to bake these cookies with my daughters. They will love them!! I’m also excited about trying the Swerve Brown Sugar for the first time! Im excited to try these cookies. I think this brown sugar swerve is just what my keto chocolate chip cookie recipe was missing. These shortbread cookies look great. I can’t wait to try them. I need to order some of the Brown Swerve from Amazon since they don’t sell it locally anywhere. I absolutely love shortbread so I’m super excited to try this recipe. Ill use Swerve to make these. I lived in the UK for 2 years and became very addicted to shortbread. So excited I can have a keto version of it! I’m new to keto and loving it so far. You’re recipes are so inspiring! I thought I would have to give up baking which I love so much, but not with your genius recipes! Thank you so much. Would love to try this and add to my pantry! What won’t I make with it would be a better question! Lol….love their products! I would bake cinnamon buns! I’d love to make these sugar cookies. Just got my brown sugar Swerve and the first thing I want to make is chocolate chip cookies! This shortbread looks great and my grandson loves to cut out and decorate holiday cookies! I would use the brown sugar Swerve for making these cookies as well as a gingerbread roll cake. 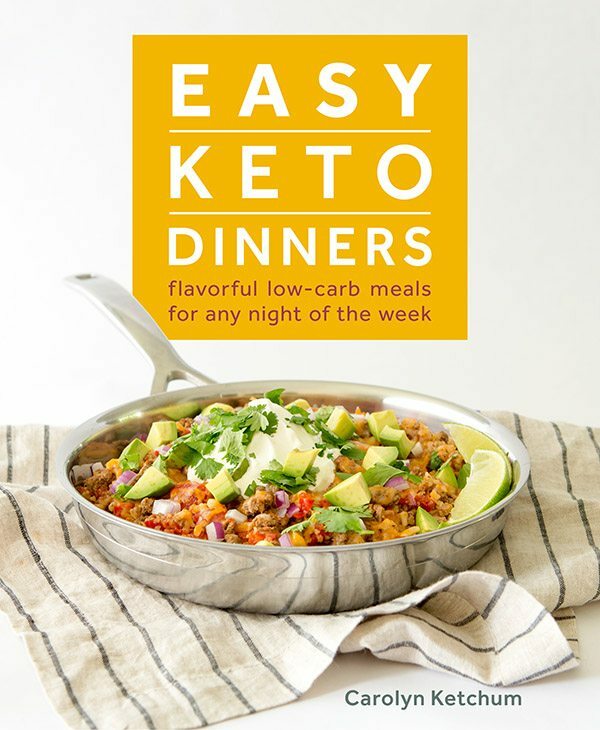 I’ve never tried this product and am relatively new to keto. I will make brown “sugar” cookies! Definitely making these cookies! I need to up my low-carb baking game! I am extremely excited about having Swerve Brown to bake cookies, especially chocolate chip ones! I bought brown sugar Swerve as soon as I spotted it in a store. I’ve never had brown sugar shortbread so I may give them a try. I really want to make Christmas cookies. I can’t wait to make brown sugar pecan cookies, low carb style of course. These cookies sound delightful! I have used brown swerve to make chocolate chip cookies and in dry rubs for meat. I can’t wait to try this recipe! It looks so delicious! I plan to make these brown sugar shortbread cookies and keto cinnamon caramel rolls. 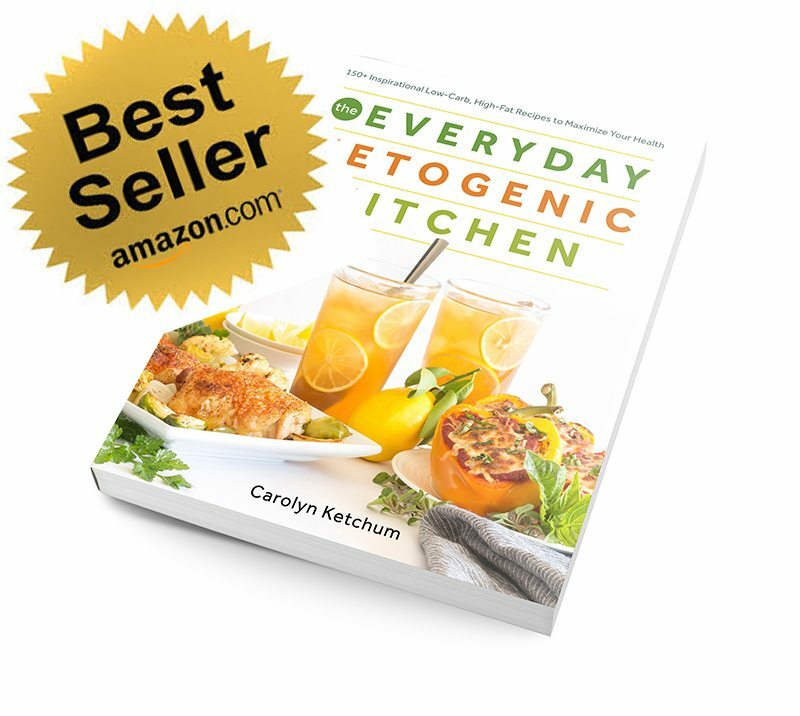 Thank you for all the great recipes including this one, can’t wait to try them! Love your recipes! Can’t wait to make these cookies! And the magic cookie bars! Brown Sugar Shortbread was a family favorite but I’ve not made it since going Keto. Now I can!! I’ve been looking for Brown Sugar Swerve for years!! Thank you! This is going to be my next cookie bake! I will be making tnis one asap. Shortbread is my favorite!! Open to Canada?! Yay! Your recipes are simple and delicious! I’m Pinning th like crazy ! I am going to make gingerbread cookies! Love Swerve and all your recipes! I’d love to try these cookies! I’d love to recreate and ketofy my mom’s recipe for sweet potato casserole. OMG these cookies look fantastic! Cannot wait to try them out. This recipe looks delicious! Excited to try it! Can’t wait to find brown swerve and make these. Love my regular granulated and powdered swerve. I would love to try this recipe. I enjoy using Swerve in my desserts recipes. Thanks for sharing! These look awesome! I like how brown sugar gives baked goods a different taste & texture. Do you think I could sub some unsweetened applesauce for some of the butter? This is my favorite kind of cookie. I am definitely a Lorna Doone kind of girl. I can’t wait to try these. Thank you for all of your recipes. I’d make chocolate chip cookies ! I’d probably work on making a passable ginger cookie and try these shortbreads if in honest. I’m going to try these cookies with the Swerve Brown. I’d like to use it in gingerbread cookies! Give it that brown sugar taste! Thanks for sharing. I enjoy your blog and appreciate it. Thank you! I’d like to try this one! I would love to use brown sugar to make your shortbread cookies! We decorate cookies as a family every year and I would love to participate but stay keto! Very excited! You are the keto treat wizard! Can’t wait to try these cookies! Thank you so much for all your hard work! I would love to try the brown swerve and try out these cookies! I’ve been looking for a keto friendly brown sugar substitute for Korean beef and smothered green beans too! These cookies sound great! I can’t wait to try these cookies. I can’t wait to try these. Has anyone tried the brown in pecan tarts? Please see my pecan pie recipe. I would love to try this brown sugar cookie recipe! They look amazing! I absolutely love shortbread, so this is what I’d make! I have not tried the brown sugar swerve yet! I would love to use it for keto cookies or sugar free pumpkin pie! I love all of Carolyn’s recipes. Can’t wait make this one! 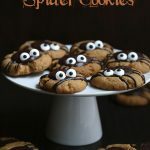 These cookies look amazing, I would love to make them! Definitely need the brown sugar swerve in my life for these cookies!!! I plan to use the brown sugar swerve for all my recipes that I love to make without the calories and extra carbs! I love and use all the other swerve products! My first, will be to try to shortbread recipe listed here then for dinner a family favorite shoyu chicken! I can’t wait to try this recipe! Cheers to Christmas cookies! I would love to make these cookies! First time I used swerve brown was to make some amazing keto chocolate chip cookies and I was hooked!! I am new to the keto world and love to bake! So far I’m loving all of your recipes! 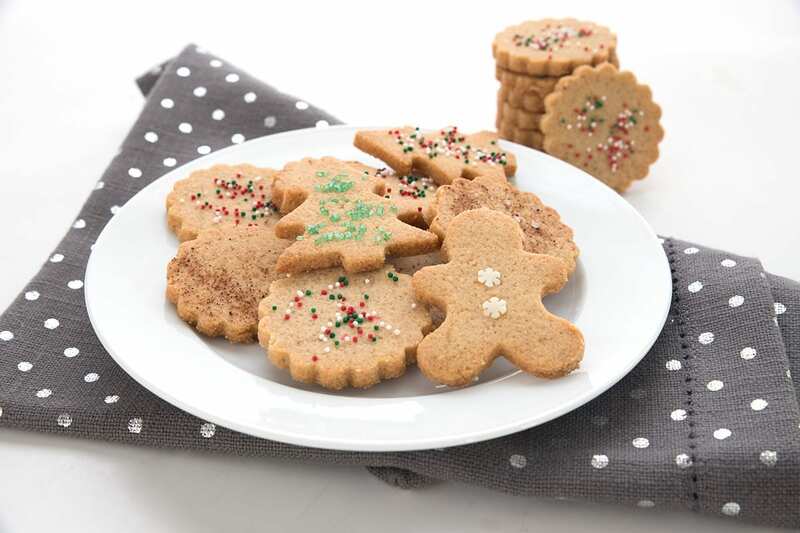 I haven’t tried the brown sugar swerve yet, but Id love to make some gingerbread men cookies! 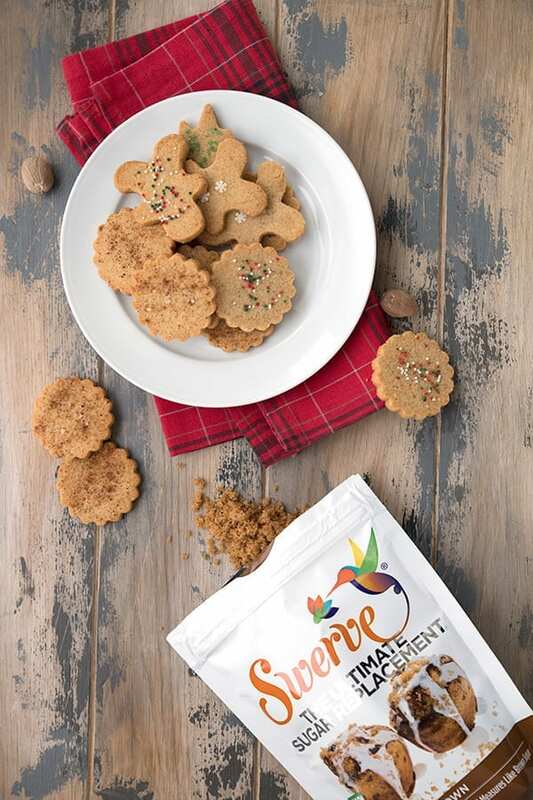 Shsortbread cookies are my favorite and Im still looking for the best one that is sugar free and gluten free. I’ve tried them all and still looking for the right crunch and taste! Let me see if this is the one! I definitely feel dumb when it comes to the different types of sweeteners love when it’s easy. Wow! The shortbread recipe sounds simple and delicious! My hubby’s favorite cookie is shortbread, so I ‘ve got to try this receipe. If I can find him a low-carb option that he likes, I will have made him a happy cookie camper! I have some caramel cookies that I have been wanting to make keto, Swerve b ru own sugar would be perfect for this! This will be fun for my keto co-workers at our Christmas party! 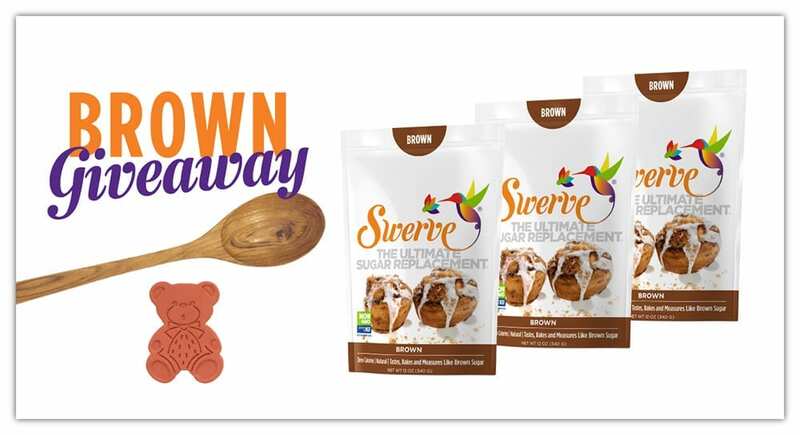 I would love to win Swerve Brown to use it in so many of your recipes that call for that brown sugar flavor. I love shortbread so this recipe would certainly be on the list. 🙂 Love your blog and creative recipes. I would like to try the swerve brown sugar. So far I have not baked any keto desserts. Would love to try it, but my grocer only caries the powdered version. Cannot wait to try this brown sugar in recipes! Looks so good! I’ve never used brown Swerve before, can’t wait to try it. Brown sugar shortbread cookies of course! Just bought a bag of Swerve Brown to use in my sweet potato pie and seen site and cookie recipe also a contest how great is that. The brown suga shortbread cookies, or possibly a chocolate chip cookie whic traditionally has brown sugar in the recipe. I’ve had a bag of brown sugar swerve sitting on the shelf for a couple weeks. Now i know what I’m going to use it for! I would use it to make cookies and caramels! I would first try this short bread recipe. It looks good! The first thing I’ll make are these shortbread cookies! The second thing I’ll make are chocolate chip cookies because they’re always best with a mix of brown and white sweeteners. I’m excited to try the Brown Swerve. There are so many recipes! Can’t wait to make some Christmas cookies with this! I definitely am going to make these brown sugar shortbread cookies. Thanks! I want to try this! Those cookies look beautiful! I will make these keto brown sugar shortbread cookies. They are perfect for our Christmas Eve celebration! This brown sugar magic is great! My non-lowcarbers enjoy everything I have made with it and they don’t know I didn’t use the “real” thing! Sneaky me! I can’t wait to try the gingerbread men with my grandsons! An old tradition with a healthier taste. I am slowly learning how to use alternative flours in baking, but the sweeteners can be tough to figure out. I know when I make one of your recipes it will be wonderful! Thanks for helping on the low carb journey! These cookies look amazing! I am trying to adjust recipes I have always made for my family. But brown sugar was the one I hadn’t figured out a substitute. 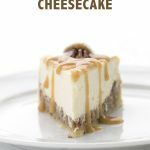 I want to make the keto pecan pie! Those look absolutely amazing! I’ve never used the brown sugar swerve before, but if it’s as great as the regular, I know it’ll be fantastic! I would try out an oatmeal cookie style keto cookie. They’re always missing the brown sugar flavour when I try them! I just printed this recipe and I can’t wait to try it. …its also great in pie crusts. 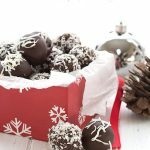 I’m looking for Keto friendly ideas for baking this Christmas. these Brown sugar cookies look like a good start! First I will make these cookies, then use it in keto “oatmeal”. These look crazy good! Can’t wait to try these. Just made some Keto gingerbread cookies using the Swerve Brown. They turned out so good! I will use this to make the brown sugar shortbread cookies AND chocolate chip cookies. You just gotta have brown sugar for chewy cookies! I would like to try these cookies but what I have actually been dreaming about all week long -fantasizing about – are Pecan Sandies. I would really love to try making them using this! I will try this recipe! My husband misses sweets so much!! All kinds of Christmas cookies will be made in the following weeks, adding this recipe to the list. I’ll also be attempting some cinnamon rolls with the Swerve Brown Sugar. Can’t wait to try it! Oh, these sound divine! I’d love to make them with some Swerve. I will make a delicious glaze for my Christmas ham! I would make a chocolate chip cookie using Swerve brown and Lilly’s chocolate chips. I’ve never heard of brown sugar shortbread, but I’ve often used ‘brown sugar’in other recipes because it just tastes better than the white. Can’t wait to try it! I’ve used the powedered Swerve many times. I’d try the brown sugar swerve in a Keto Chocolate Chip cookie recipe! 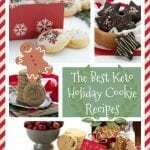 OMGosh, I want to make these shortbread cookies and my favorite Keto Gingersnaps! I wanna make these cookies so bad!!! Would love to bake these cookies with the brown sugar swerve. And maybe choc chip cookies! I love shortbread! Can’t wait to make these. I would LOVE to win some Swerve Brown Sugar. Love the granular and confectioners! 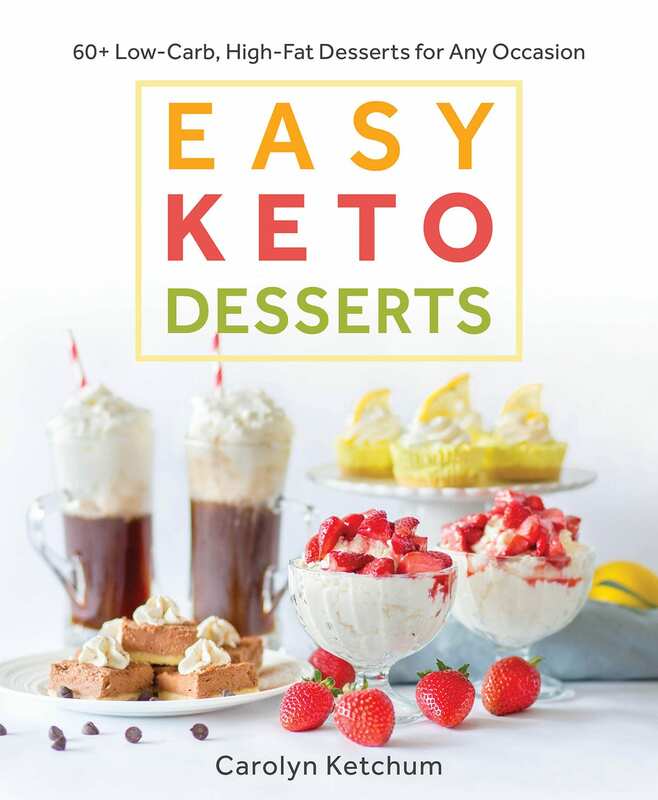 I bake treats for my Keto club each month….this would be a great one to use! I would make my triple ginger cookies using this. I’m a big fan of Swerve powdered and granulated! Can’t wait to try the brown and these cookies!! Yum! I would definitely try this recipe! Wow! So exciting that’s Swerve now makes brown sugar substitute. I want to make a keto frjendly pecan pie!!! 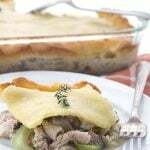 I will be trying this recipe with swerve brown! I’d like to make this recipe but shape a house to decorate while the kids do gingerbread houses. these shortbread cookies look like a good place to start! I’m excited to try the brown sugar version, thanks for the chance to win it. Let’s make chocolate chip cookies! I would love to make Christmas cookies. Can’t wait to try recipes with the brown sugar! I would make these sugar cookies!! I haven’t tried swerve brown sugar yet but I am very anxious to try it. I love their powdered and granular! I would make holiday shortbread with it. My husband has been asking for shortbread cookies…I just might have to make him these! I wonder if my local grocery store is carrying the brown sugar Swerve yet! I’d like to make butter tarts, and chewy ginger cookies. Woo hoo! FINALLY! A chance to get Brown Swerve! Looks like the perfect recipe to try Swerve brown for the first time! I might have to add some anise to these babies and turn them into biscochitos! I love brown swerve! That rich, sweet flavor makes all the difference in my baking. Can’t wait to try this new recipe! I was so excited when Swerve came out with brown… But they don’t carry it where I live 😥 My husband and I LOVE pecan baked goods and they always seem to call for brown sugar. Looking forward to getting my hands on this so I can try some brown! Swerve is my go-to sweetener. I love how it is available is granular, powdered, and now brown. So convenient. Thank you! I’ve started using Swerve Brown in my coffee with HWC. It give my coffee an extra depth of flavor. It’s so good! Ohh! I can’t wait to try these! My favorite recipe is a brown sugar shortbread. I usually use Splenda brown sugar but would love to try this. I think I would make these brown “sugar” shortbread cookies first! They look delicious! These are fantastic and so easy to make! I did discover I lack cookie cutters and be damned if I could find nutmeg…BUT I simply made into balls and flattened with a cup then after baking sprinkled with a bit of powdered swerve and VIOLA!!!! These were baked for teachers at my son’s school, one being celiac and I wanted to make SURE that what I made was safe for him! These cookies look great ! I can’t wait to make them . Your recipes always look so delicious, but most of them have almond flour which my daughter can’t have. I hope you’ll develop more recipes using coconut flour and swerve sweetener! Thanks! Please search my blog for “coconut flour”. 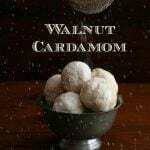 I use it frequently and have MANY recipes without almond. I love Brown “Sugar” Swerve and definitely want to try this recipe! Oh man these look so good! I want to make some chocolate chip cookies with the brown sugar swerve. Maybe even for the sauce in an Asian pork dish my kids love, but I haven’t made since quitting sugar! I would love to try this shortbread cookie recipe and chocolate chip cookie recipe with the Brown Sugar Swerve! I have several other recipes that call for a brown sugar replacement that I would love to try it in! I would totally try this recipe with Swerve Brown! 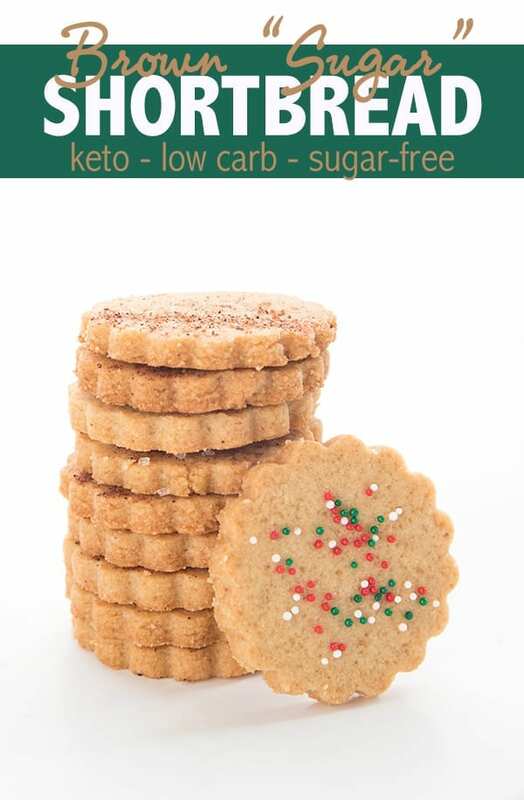 Trying some keto Christmas cookies next week with my daughters next week. This one may be one of them. I want to do some holiday baking! I’d make some gingerbread cookies, sugar and shortbread cookies! I love gifting cookies to others! I honestly don’t know what I would make. I have had zero luck making keto treats that actually taste good. Would love to try brown sugar serve! I have been looking for a sub for cookies and korean bbq. I really miss the korean bbq, just too much sugar. Making the Brown “Sugar” Shortbread cookies today! yes, that’s a good replacement. I’m looking forward to trying this recipe! These look so yummy! I plan on making them very soon! I would definitely try this one first. It looks delicious. Would love to try these cookies as well as the brown sugar swerve!!! I’m still pretty much a Keto newbie but can imagine a lot of possibilities for the Brown Swerve. The regular kind is hard to find here and is very expensive. I will order some soon. I plan to make cookies. Love my Swerve…but haven’t tried the brown yet! Bet it’s awesome! I’d definitely make these & maybe some gingerbread cookies as soon as I can get my hands on the Swerve brown! Looks good. Now I just need to find some place that sells the brown sugar in canada that is not sold out. I would try so many different desserts with this! Making these Brown sugar shortbread! I would definitely be making these cookies! Can’t wait to make these! And also use brown sugar swerve for butter tarts. I’d make these cookies. I love shortbread. I’d love to make these cookies but also Blondies. I just love the wonderful flavor of brown sugar!! I would definitely make these brown sugar shortbread cookies. My mother in law was from Canada and used to bake the best shortbread!! I would use the Brown Swerve in my green bean bundle recipe! Swerve’s new brown sugar replacement has made me ridiculously happy! I mean the low carb chocolate chip cookies made with swerve brown sugar nearly brought me to tears (of happiness!). And your pumpkin cream pie was the hit at Thanksgiving, keto and non-ketoers alike. I do believe I heard “That’s the best dessert I ever had!” Thanks to you and swerve for helping to make a keto diet really a sustainable keto lifestyle. I am delighted to hear it! 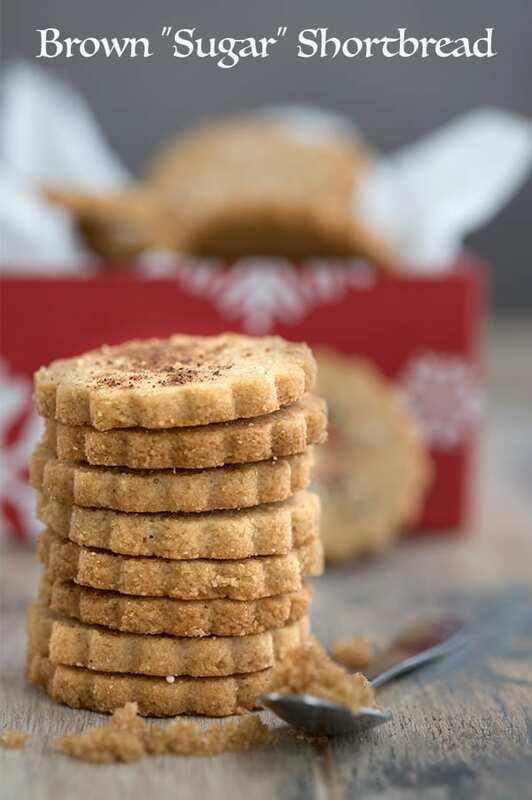 I would like to try the Brown Swerve in these shortbread cookies, but I might try it in your chewy ginger cookies first or in your cinnamon crunch cereal. Thanks so much for the opportunity to win some Swerve. I think this recipe would make a great base for millionaire shortbread. Just add your caramel sauce and some chocolate ganache! I’d definitely make these cookies. I love the brown sugar flavor and in cookies. I think I’d like to try it in gingerbread! I’d be excited to try the Swerve in any recipe that calls for brown sugar, including this cookie recipe! I’m pretty new to sugar free baking, so I’m still learning how all the ingredients are behaving. I’ll definitely be making these! Can’t wait to make these cookies! thanks for the opportunity to win, awesome! I would love to try the shortbread recipe! I hope I win 🙂 ! I’d love try this particular recipe with the Brown “Sugar” Swerve! I can’t wait to try this, it will be my birthday treat! I love the brown sugar swerve. If I could just figure out how to make crunchy cookies life would be complete! Brown sugar Swerve?! Man, that will solve so many keto baking problems! I’ll use the Brown Swerve to make these Brown sugar cookies for Christmas. I love how I can use cookie cutters and decorate like regular sugar cookies. I’m going to make these cookies for my granddaughter. YUM. 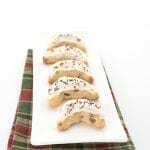 I’d love to try Swerve in my MILs Christmas Spritz cookie recipe! I use it in everything! I made nut brittle last night. I will use the Brown Swerve to make cookies, cakes and cinnamon rolls! Yum!! I’m so happy that Swerve makes it! I would make chocolate whip cookies with swerve brown mmmmm and this recipe looks delicious! Already have a bag of brown and I’m going to make these. They look great! My holiday cookie basket for my neighbors! And for me! I’ve bought the brown Swerve, but haven’t gotten to use it. This recipe looks like the perfect opportunity! I will bake gingerbread cookies and shortbread!! I would probably make these; they look delish. I am all about the sweets! The only type of cookie I like is butter sugar cookie. I will be making tons of this for Christmas!!!!!! we always have cinnamon buns Christmas morning so i would make those. I’m going to give these a try in the morning! I’m so glad to know Swerve makes a brown sugar replacement. I will definitely make these cookies. Can Lakanto Golden be substituted for Brown Sugar Swerve? I’m so excited to make these. I have a bag of Brown Swerve just waiting for a recipe, THANK YOU!!!! Is Swerve Brown packed like regular brown sugar? Hi! I did make these this weekend, and they are fabulous! My three neighbor kids love them and did not even know they were low carb! Somethings are better left unsaid. I did not have the brown Swerve yet, So I used golden Monk fruit, and they turned out just fine. Thanks for another great recipe Caroline!